Dr. Charles Ratliff is an independent consultant to schools, colleges, and universities in the areas of strategic planning, policy development and analysis, administration, student support services, community relations, and performance outcomes. 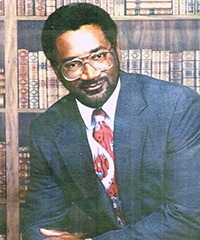 His previous positions include Special Trustee of the Compton Community College District, Director of the Office of the Education Master Plan, Senior Consultant for the Senate/Joint Committee to Develop the Master Plan for Education, and Chief Deputy Director of the California Postsecondary Education Commission. Dr Ratliff’s experience includes more than three decades in postsecondary education administration, policy development, and implementation. He also shared responsibility for managing a process that resulted in the adoption of a new California Master Plan for Education that encompassed all educational levels from preschool through the university level. Dr. Ratliff holds a Ph.D. (Administration of Higher Education and Policy Analysis) from the University of California, Berkeley and an M.S. (Educational Psychology / Counseling) from California State University, Hayward.